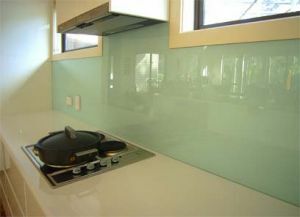 Glass Splashbacks kitchens and bathrooms Decor Glass Leeds. Glass and Glazing. 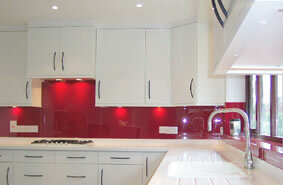 Splashbacks are now a very popular alternative to tiling in modern kitchens and bathrooms. We offer a range of toughened glass with up to date thermal resistance. This modern, easy clean, high gloss finish, is very much sought after.